Looking for a weekend getaway? Maybe you’re only passing through town or maybe it’s time for a relaxing weekend away. 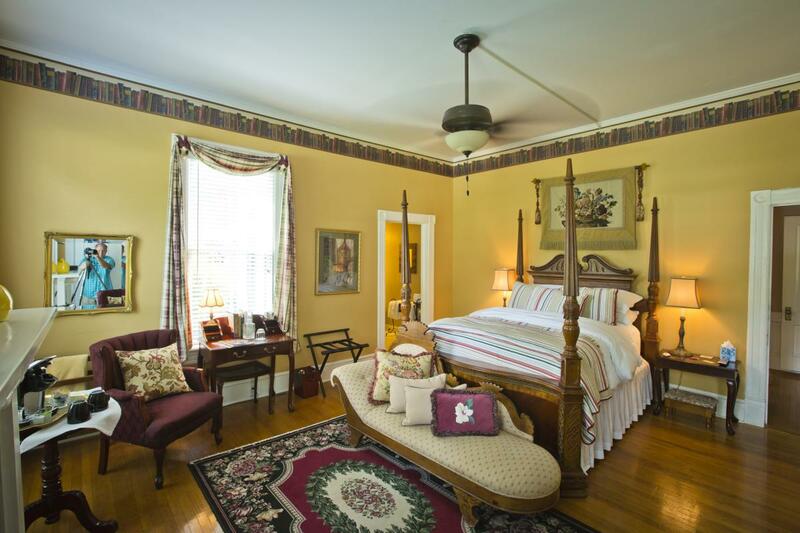 Whatever the case is, The Antebellum Inn Bed & Breakfast is one of the most one-of-a-kind hotel experiences Milledgeville has to offer. 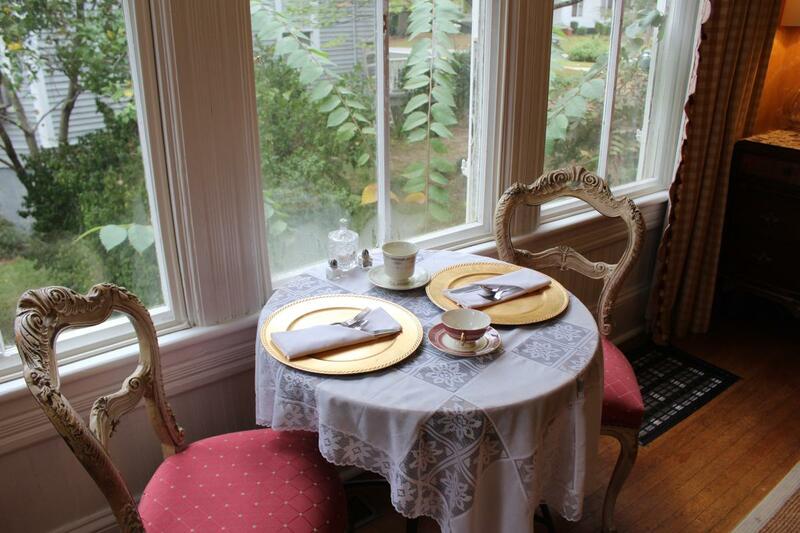 Of all the historic homes in Milledgeville, The Antebellum Inn is one of the most notable. Built in 1890 by renown architect E.J. Alling for Judge Rufus Roberts, the home has since been transformed into the most quaint getaway in town. The Inn has five suites available, each uniquely themed and decorated. One of the most popular suites, The Judge’s Suite is located on the main floor of the home and is the only suite that includes a private entrance to the adorable front porch. Just picture sipping your hot morning coffee out there in the cool Fall weather! If you’d like to stay in town for an extended time or are traveling with the whole family, the Inn’s Pool Cottage is ideal. Located right next to the home, the cottage sleeps four guests and includes a full kitchen and living room. During the warmer months, guests can enjoy the salt water pool right next to the cottage. 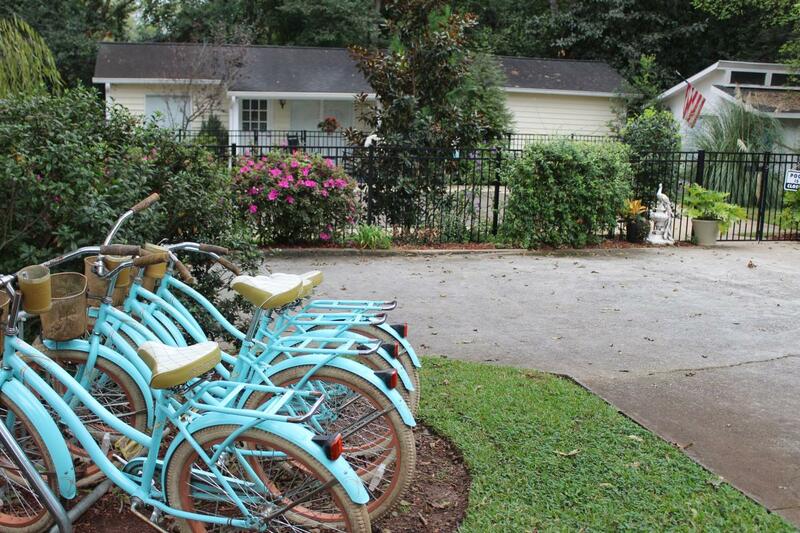 Milledgeville’s part of the Antebellum Bike Trail. 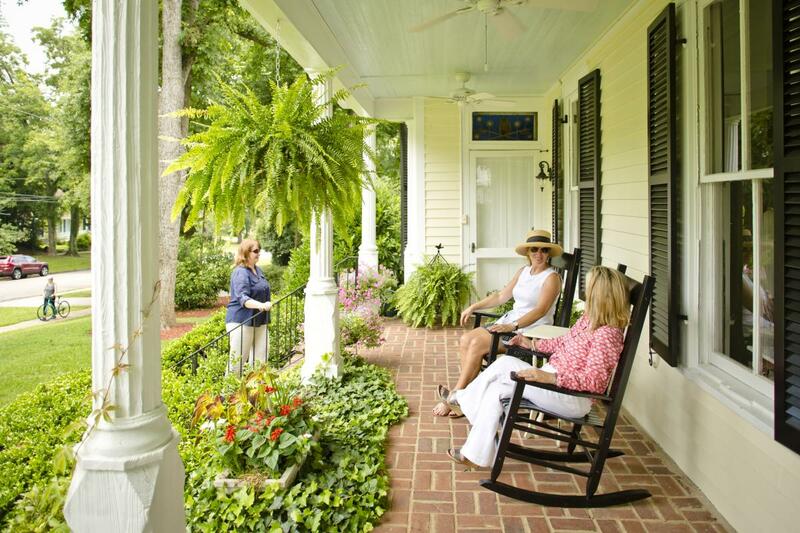 Conveniently located, the Inn is the perfect place to experience the rich history of Milledgeville while also experiencing local treasures of the area. Because Milledgeville was once Georgia’s capital, this city holds tons of history and the Inn is the perfect place to stay so that you can experience that. 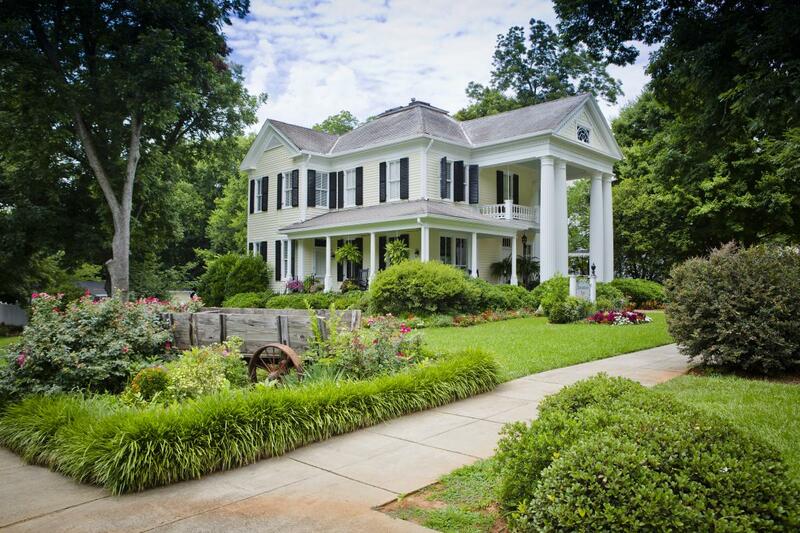 Simply staying in the home will show you some of Milledgeville’s history! 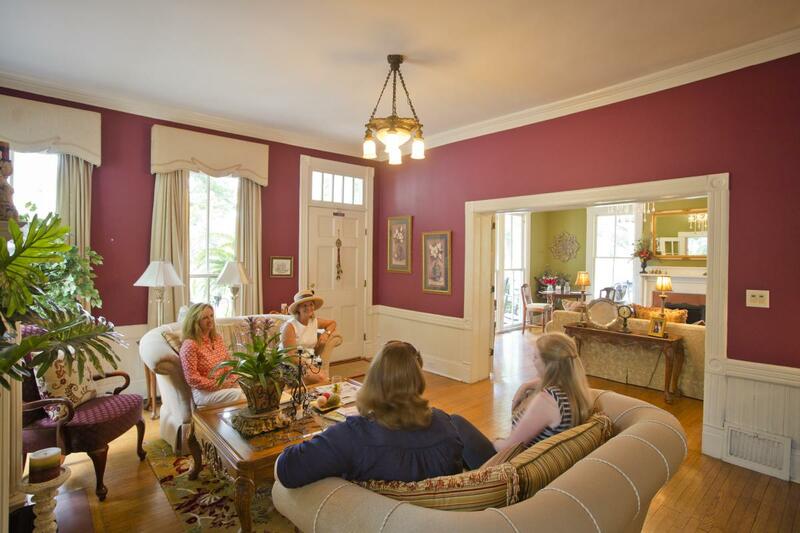 The city is full of antebellum homes and historic attractions such as the Old Governor’s Mansion, the home of Flannery O’Connor, Andalusia Farm, the Old Capital Museum and so many more. If you are looking for something to do, the wonderful staff will direct you to one of the many awesome places to visit! 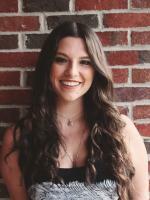 In addition to being close by to Milledgeville’s historic locations, the Inn is also only moments away from Downtown Milly, so you can easily get to one of the restaurants or shops and enjoy the lively downtown scene. 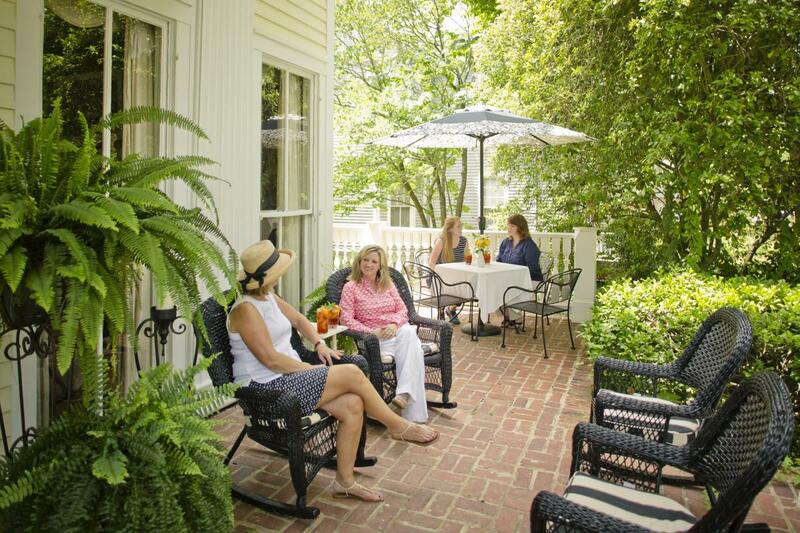 The Inn is a true picture of Southern hospitality; from the moment you check in until the moment you walk out the door, the friendly staff of The Antebellum Inn take care of your every need. Your entire visit will certainly be one to remember! Book a reservation at the Inn by visiting their website www.antebelluminn.com or by calling 478-453-3993.